Evaluation is a key part of the improvement process. We collect quantitative and qualitative data on our initiatives in order to fuel our continual improvement. We also learn from participants and stakeholders, and share their experiences in our reports. These findings inform our planning for future activities, and by sharing them we hope to spread the best practices and insights we have gained. Below you’ll find a selection of our most recent evaluations and reports for our various initiatives. 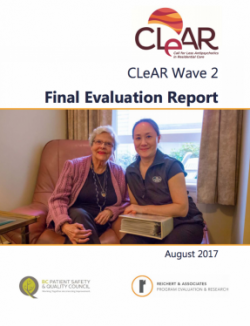 Clear’s second wave ran from September 2015 through December 2016, during which it was known as the Call for Less Antipsychotics in Residential Care. 40 care homes participated and 1,001 residents saw their antipsychotics decreased or discontinued. 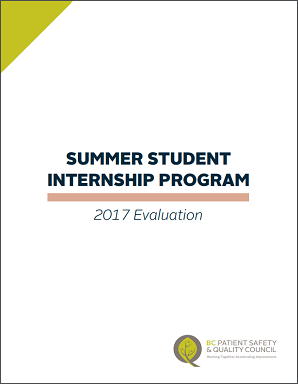 The Council supported 10 interns in the summer of 2017, in placements across BC. This evaluation reports on the experiences of both student interns and the health organizations who employed them. 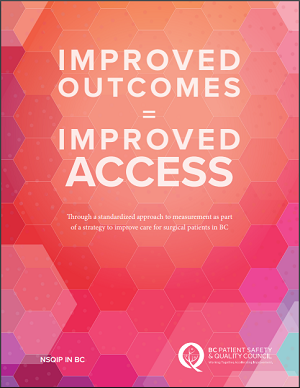 The National Surgical Quality Improvement Program (NSQIP) was implemented in 2011 as a measurement system to help understand the safety and effectiveness dimensions of surgical quality in BC, and is being used at 24 hospitals across the province to monitor patient outcomes for 30 days after surgery. 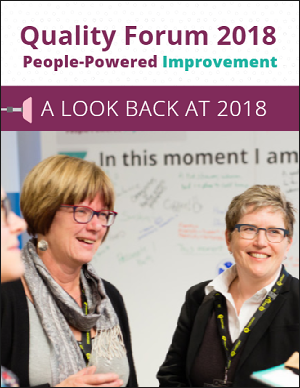 Quality Forum 2018 brought together more than 1,200 participants over its three days. In this report, we summarize evaluation forms submitted by participants regarding the pre-Forum sessions, main two days, and Health Talks, and provide a breakdown of participant diversity. 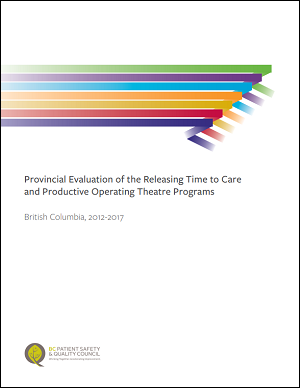 This five-year evaluation looks at RT2C’s impacts in BC from 2012-2017. Promisingly, it revealed improvements in all four areas of program focus: patient experience, efficiency of care, safety and reliability of care, and staff well-being. 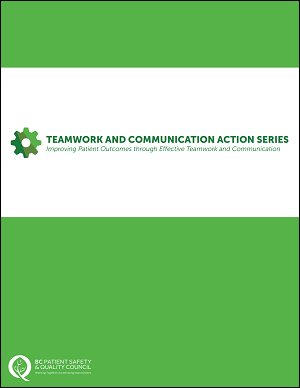 This 12-week Action Series was launched in February 2017 with the aim of improving teamwork and communication within the BC health care system. This report summarizes the experiences of the 50 participating teams and the evaluation results. 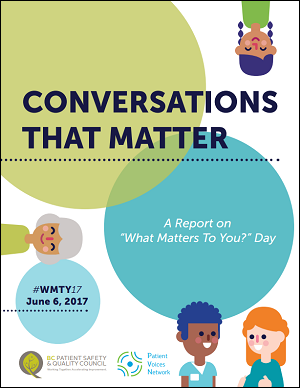 “What Matters to You?” Day took place on June 6, 2017. To better understand the campaign’s impact, we analyzed data from multiple sources: orders and sign-ups for the campaign, stories and information shared via email, survey responses, and participant interviews.